Stuckey, B., Hensman, J., Dewey, B., Hofmann, T., Brown, H. & Cameron, S. (2002). Debunking the Buzz Words OR Can hermeneutic analysis be used to evaluate pedagogically based learning objects designed from constructivist epistemological ontologies defined in XML Metadata?. In P. Barker & S. Rebelsky (Eds. ), Proceedings of ED-MEDIA 2002--World Conference on Educational Multimedia, Hypermedia & Telecommunications (pp. 1880-1885). Denver, Colorado, USA: Association for the Advancement of Computing in Education (AACE). Retrieved April 19, 2019 from https://www.learntechlib.org/primary/p/9903/. Bereiter, C., & Scardamalia, M. (1993). Surpassing Ourselves-an inquiry into the nature and implications of expertise . Chicago, Illinois, USA: Open Court. Bick, M., Pawlowski, J.M. & Veith, P. (2001). The Essen Learning Model - A Step Towards a Representation of Learning Objectives. In C. Montgomerie, & J. Viteli (Eds.). 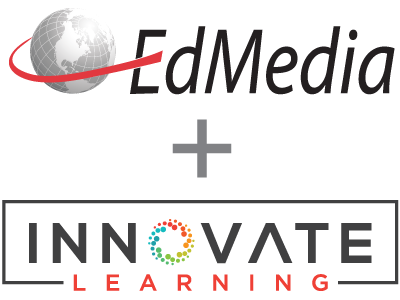 Proceedings of EDMEDIA 2001: World Conference on Educational Multimedia, Hypermedia & Telecommunications. Boyle, T. & Cook, J. (2001) Towards a pedagogically sound basis for learning object portability and reuse. In G. Kennedy, M. Keppell, C. McNaught & T. Petrovic (Eds), Meeting at the crossroads. Proceedings of the 18th Annual Conferen ce of the Australasian Society for Computers in Learning in Tertiary Education (pp. 101-109). Melbourne: Biological Multimedia Unit, The University of Melbourne. Clifford A. Lynch (2001), "Metadata Harvesting and the Open Archives Initiative," ARL: A Bimon thly Report on Research Library Issues and Actions 217 (August 2001). Marton, F. (1996). Cognosco ergo sum- Reflections on reflections. In G. A. H. Dall'Alba, B. (Ed. ), Reflections on Phenomenography. Towards a Methodology? (Vol. 109, pp. Pp 163-187). Goteborg: Goteborg Studies in Educational Science. Marton, F., & Booth, S. (1997). Learning and awareness : Mahwah, N.J: Erlbaum. Reigleuth, C. M. & Nelson, L. M. (1997). A new paradigm of ISD? In R. C. Branch & B.B. Minor (Eds. ), Educational media and technology yearbook (Vol. 22, pp. 24-35). Englewood, CO: Libraries Unlimited. Rogoff, B. (1990). Apprenticeship in thinking; Cognitive development in social context. New York: Oxford University Press. Van Manen, M. (1990). Researching lived experience: Human science for an action sensitive pedagogy. New York: State University of New York Pres S.